Due to water damage, sun damage, and all around weather damage, you can see in this before pic, that the sealer is beginning to turn white and peel. And the pavers themselves have been sun bleached. 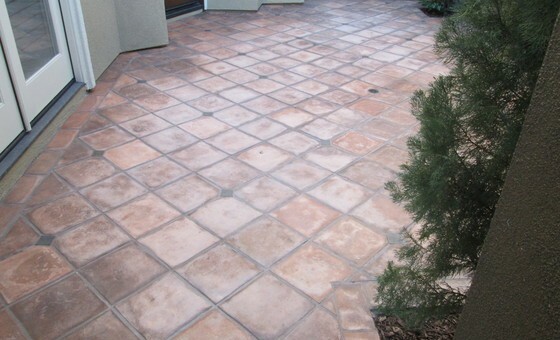 In the 2nd Picture, CTR stripped all the existing sealer off the concrete pavers and grout. 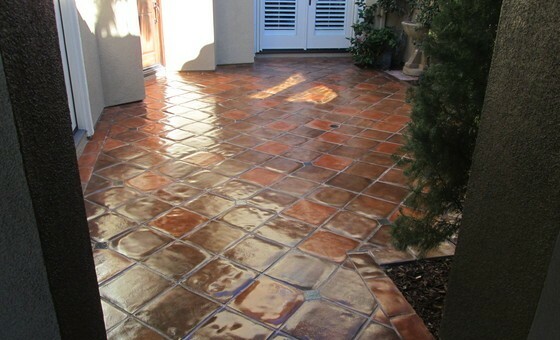 We then re-stained the pavers 2 different colors at the customers request. We used terracotta and Spanish oak to stain the pavers, and all the work was done by hand. We then applied the sealer. This particular customer wanted a high gloss shine.